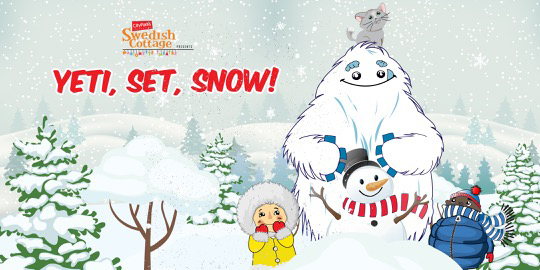 City Parks Foundation’s Yeti, Set, Snow! Yeti, Set, Snow! tells the story of a young girl named Widget, and her friend, Twig, who encounter a yeti named Pascetti on the first snow day of the winter season. Pascetti, who lives on a mountain top nearby, dislikes the snow. Through songs and snow day activities, Pascetti discovers not only that snow can be fun but also learns the value of friendship.